Kent has been bugging me to check out the Hamburger Helper website for dinner ideas. He knows I am not going to buy a box of Hamburger Helper but I will certainly try to make a rendition of a recipe. I finally checked it out today and found a recipe Kent suggested that I decided to make. It was quite yummy…oh and simple and delicious. It also took under an hour which works for all of us. I found this recipe at, where else, America’s Test Kitchen. Here goes, give it a try! 1. Brown ground beef in 12 inch non skillet pan over medium high heat, 6-8 minutes. Transfer to paper towel lined plate. Add bread crumbs, 1/4 teaspoon salt and a 1/4 teaspoon pepper to now empty skillet and cook, stirring frequently, until golden brown, about 5 minutes (I ended up removing the ground beef fat also, I added 2 Tablespoons of olive oil to brown the crumbs). Transfer to bowl and wipe out skillet. 2. 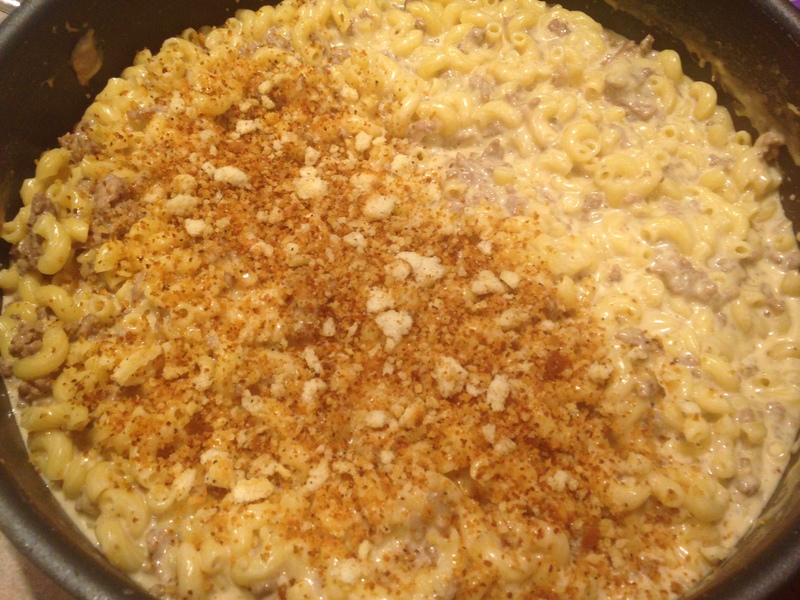 Bring water, 1 1/4 cups evaporated milk, and 1/2 teaspoon salt to simmer in now empty skillet over medium high heat. Add pasta and cook, stirring often until al dente, 8-10 minutes. 3. 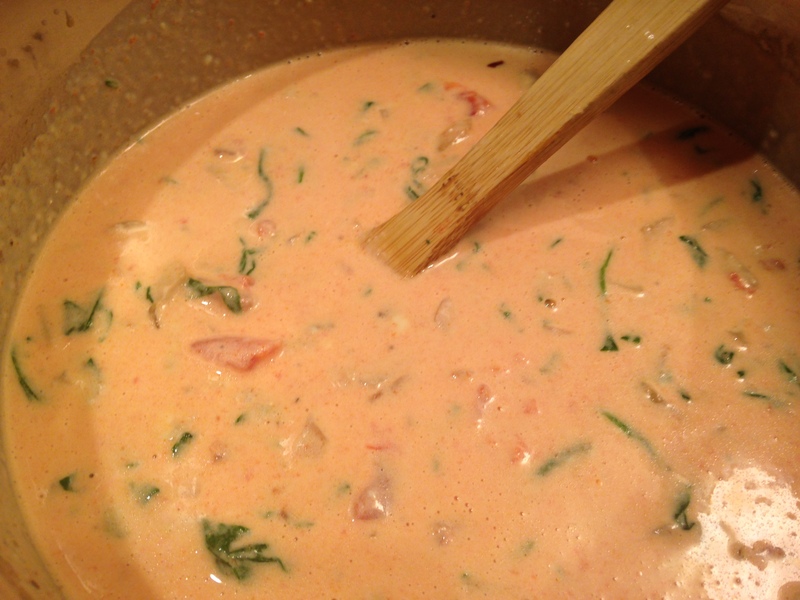 Whisk remaining 1/4 cup evaporated milk, hot sauce and cornstarch together in bowl, then stir in pasta. Bring to simmer and cook until slightly thickened, about 1 minute. 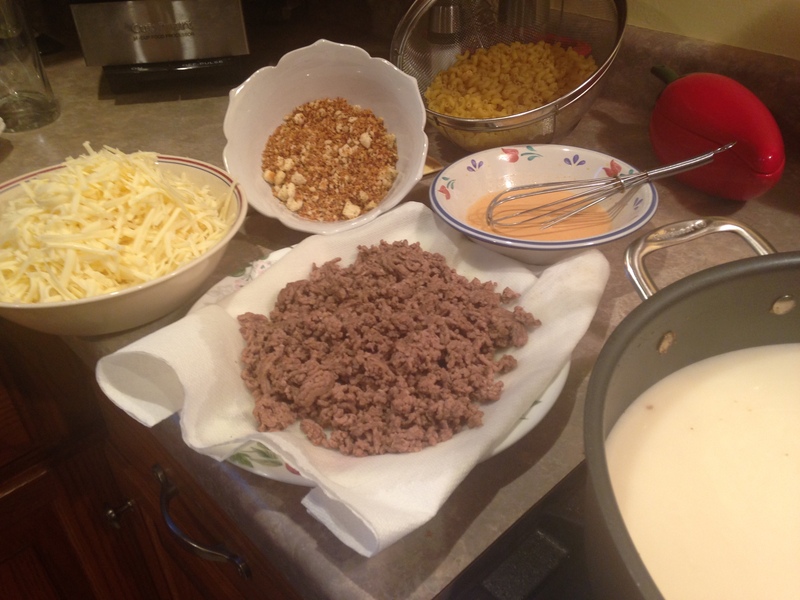 Off heat, stir in cheddar, Monterey Jack, and ground beef. 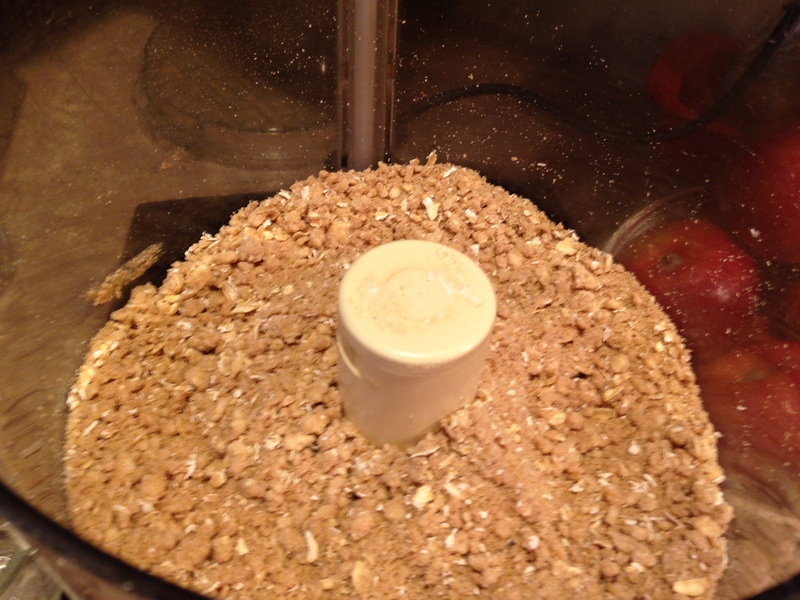 Sprinkle with toasted bread crumbs. Serve! 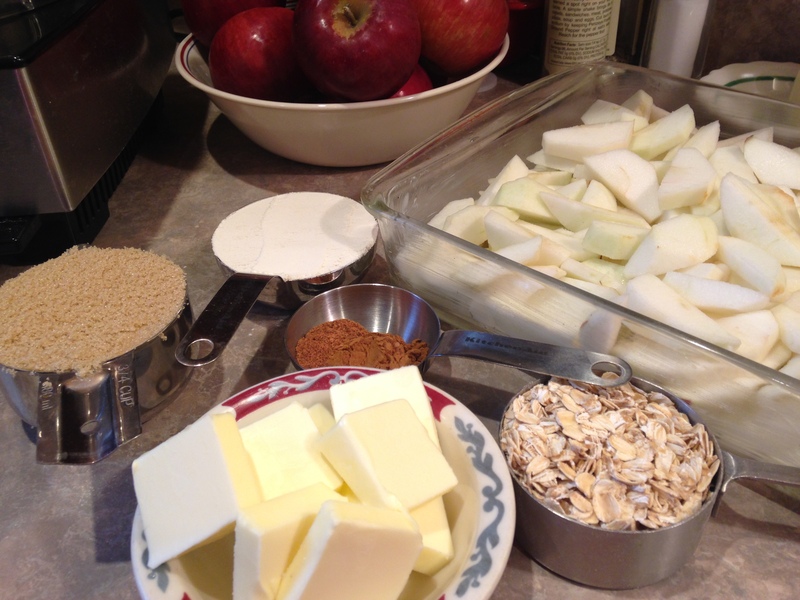 Apple Crisp – Couldn’t be more simple or delicious! 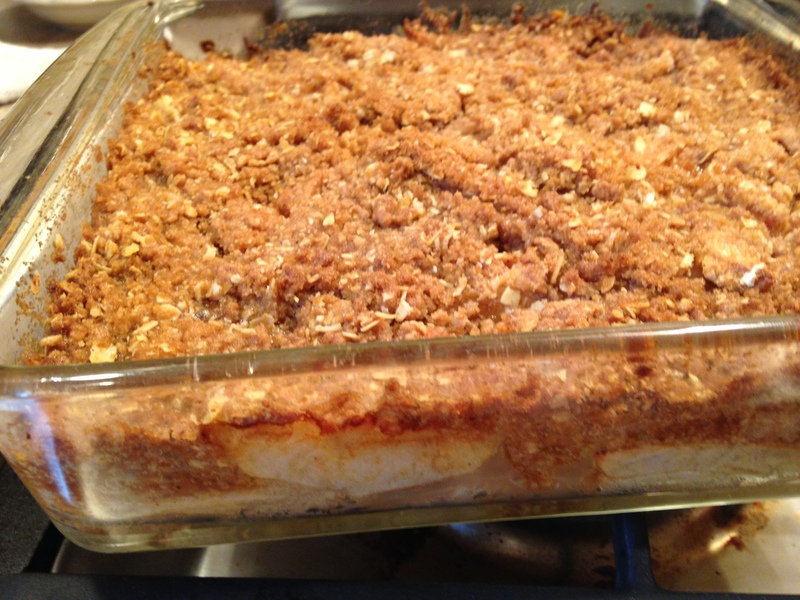 Apple Crisp is one of Eric’s favorite fall desserts. It takes no time to make and bake. Truly simple and delicious. Eric’s expression says it all!! 4. 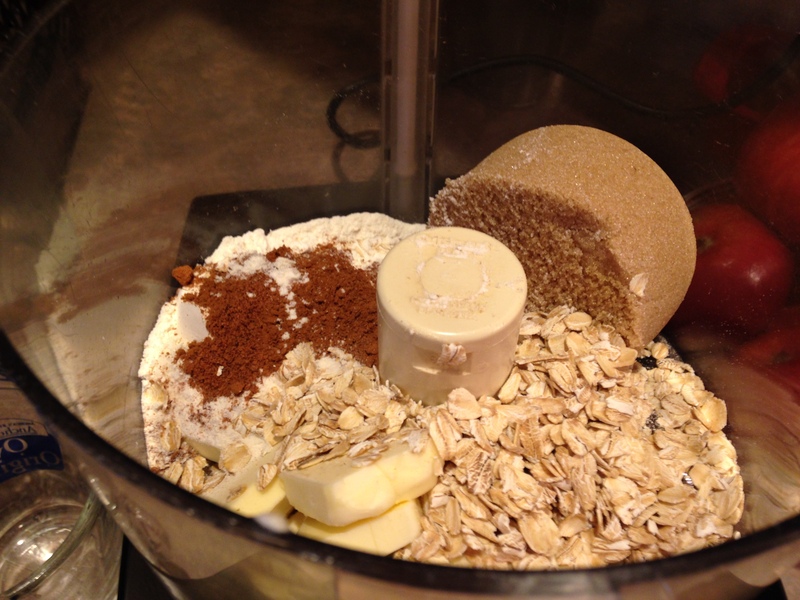 Put remaining ingredients in food processor. Pulse until combined. 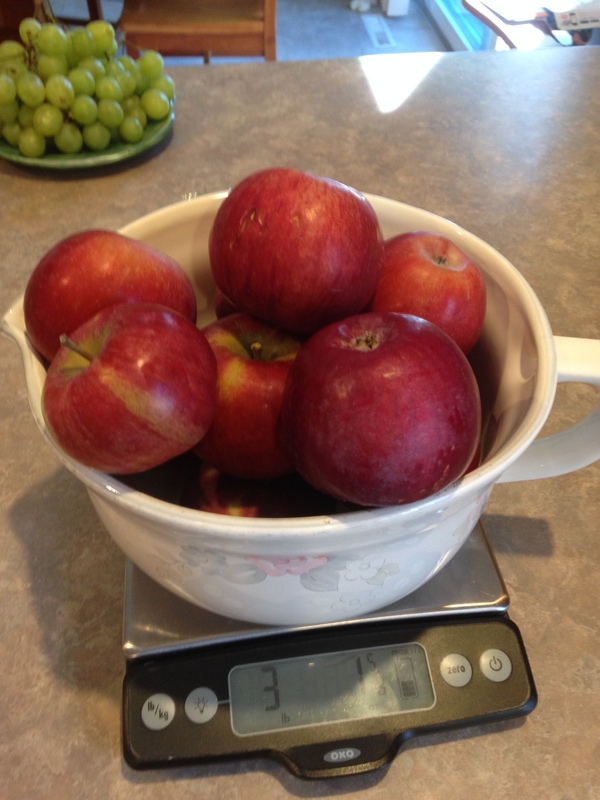 Put on top of apples in baking dish. 6. Eat with or without ice cream. Hope you enjoy this simple and delicious dessert!! Ciao!! 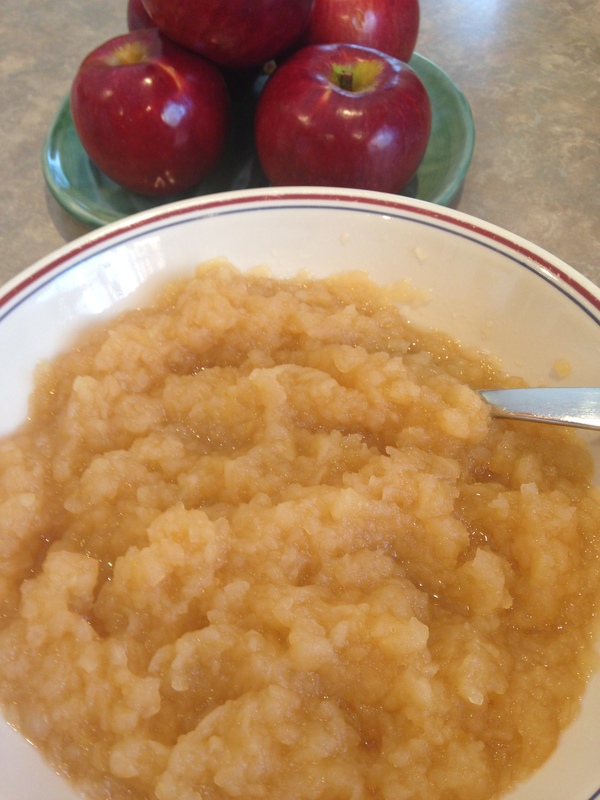 Applesauce – Simple and Delicious! 1. 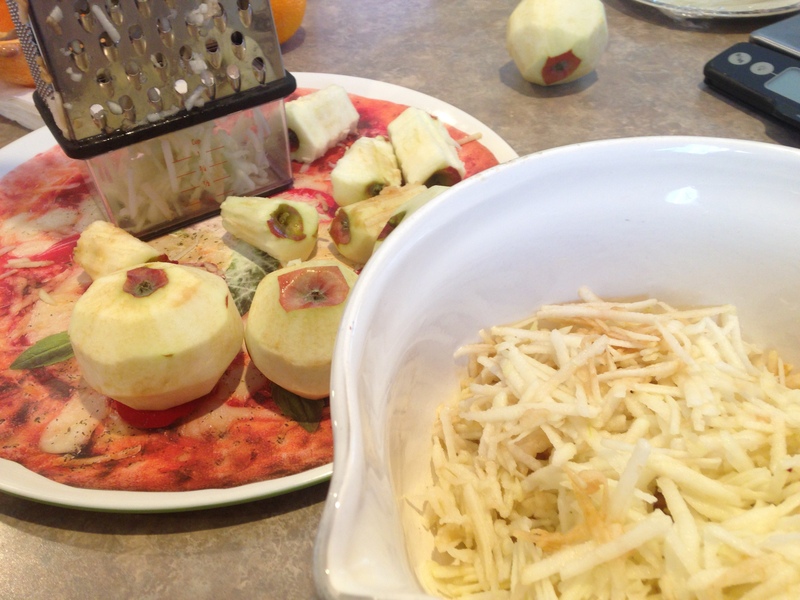 Peel then grate the apples into a microwave safe bowl. 4. After removing from microwave whisk to your desired consistency. 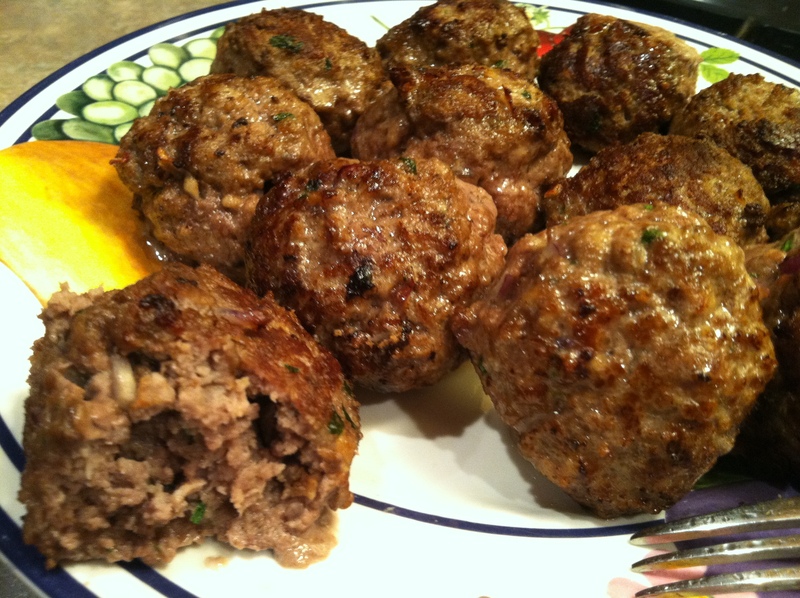 I have been making sauce and meatballs for a very long time. 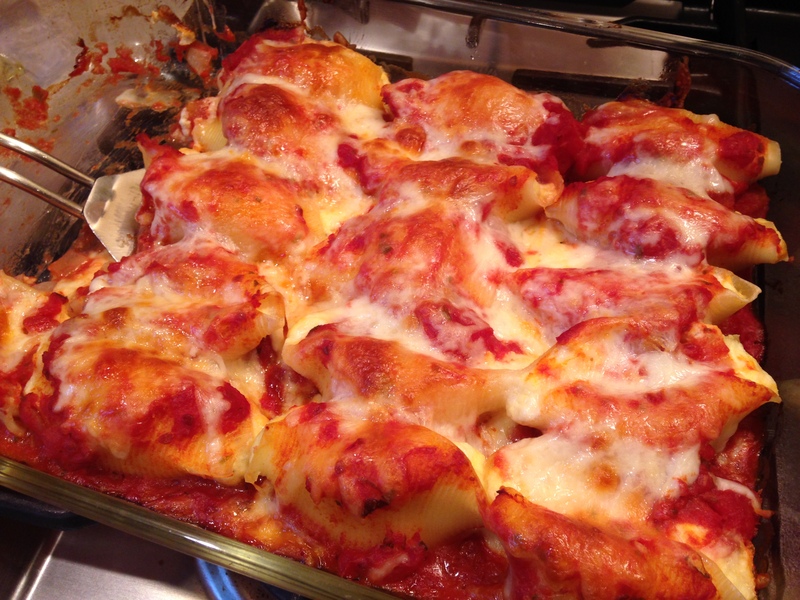 This recipe is something I have worked very hard to make sure it is delicious every time. I am sure if you try it you will love it. Don’t forget the cheese. That is what makes it work. 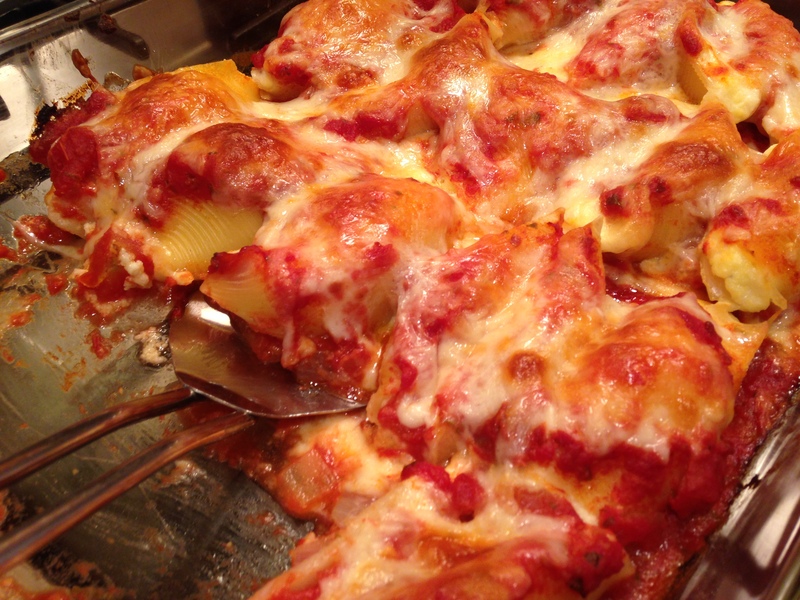 Have fun with this simple and delicious meal. 1. Add olive oil to sauce pan on medium heat. 2. Add diced onions. Cook onion on low to medium heat until opaque, about 4-5 minutes. Add cloves of garlic and let cook 30 seconds. 3. Add cans of tomatoes and let cook about 5 minutes until warm. 4. Add rest of ingredients and let simmer 30-60 minutes. If you want you can simmer longer but it is not necessary. Sauce does not have to take a long time. Taste it, if you like it, then it is done. 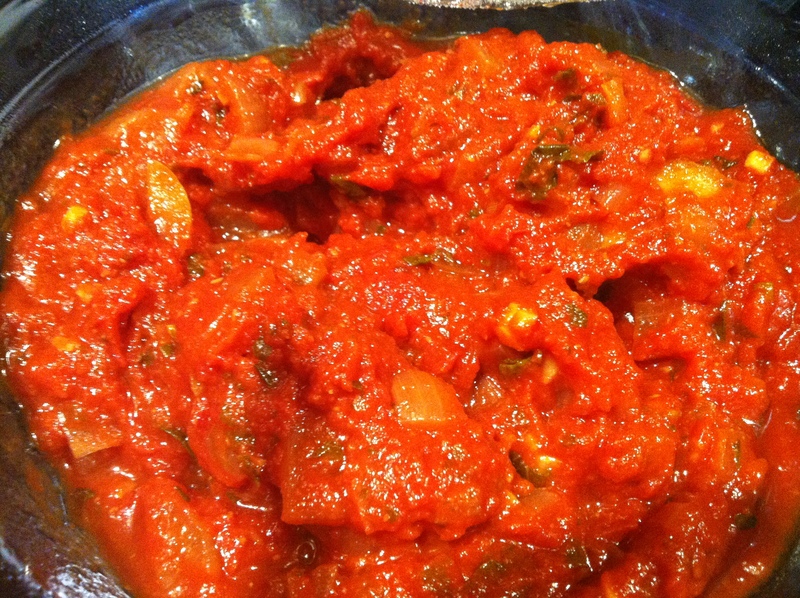 I like it to cook down a bit so I usually go 45-60 minutes for a tomato sauce. 2 Tablespoons chopped fresh parsley (or 1 Tablespoon of dry) Honestly, I forget the parsley often! 1. I always double this recipe. 1# of meatballs is not enough for this family that is for sure! 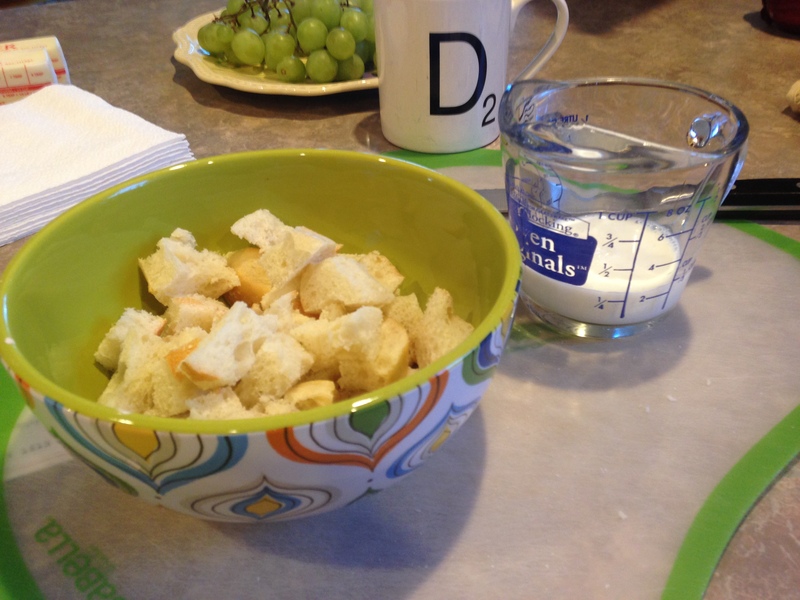 In a bowl soak the bread in the milk. This is called a panade and is a very important step. 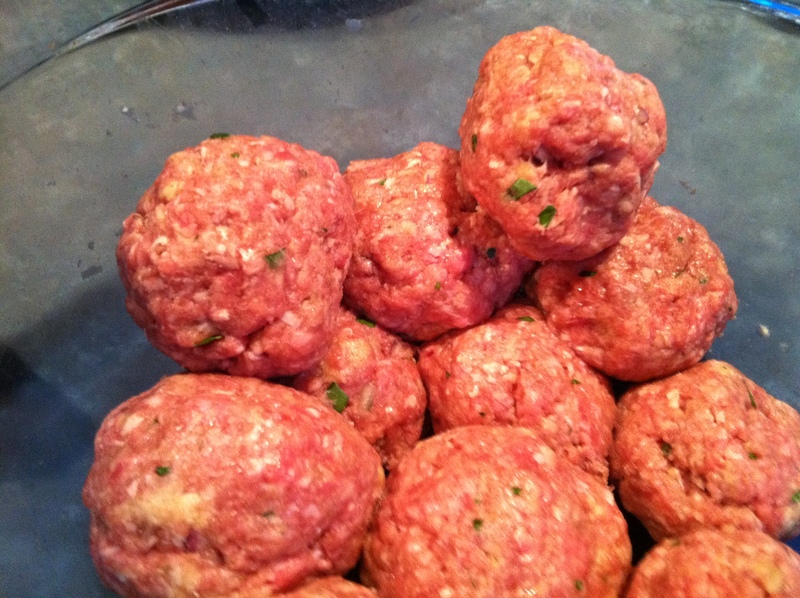 This makes the meatballs moist and delish! 2. 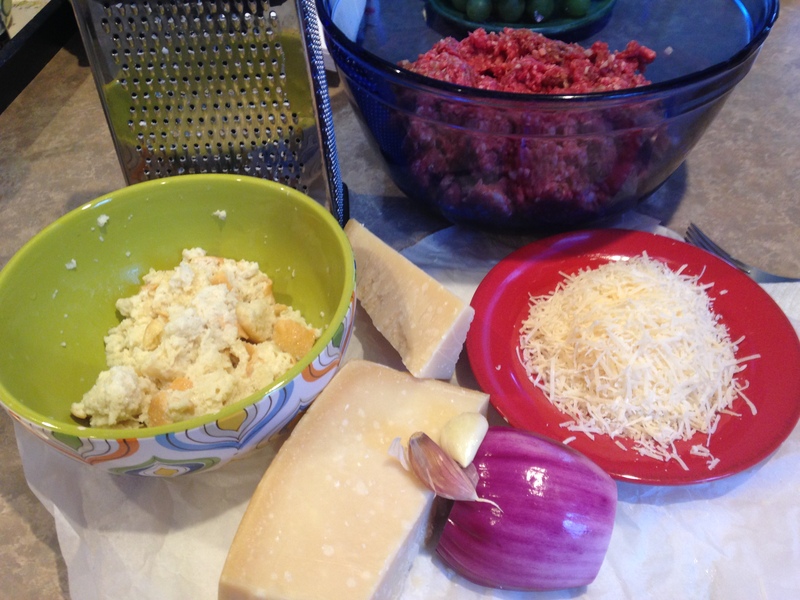 In a medium bowl, mix the ground beef, bread and milk, onions, parsley, egg, cheese, and garlic. Add salt and pepper to taste. 4. Put olive oil in sauté pan. 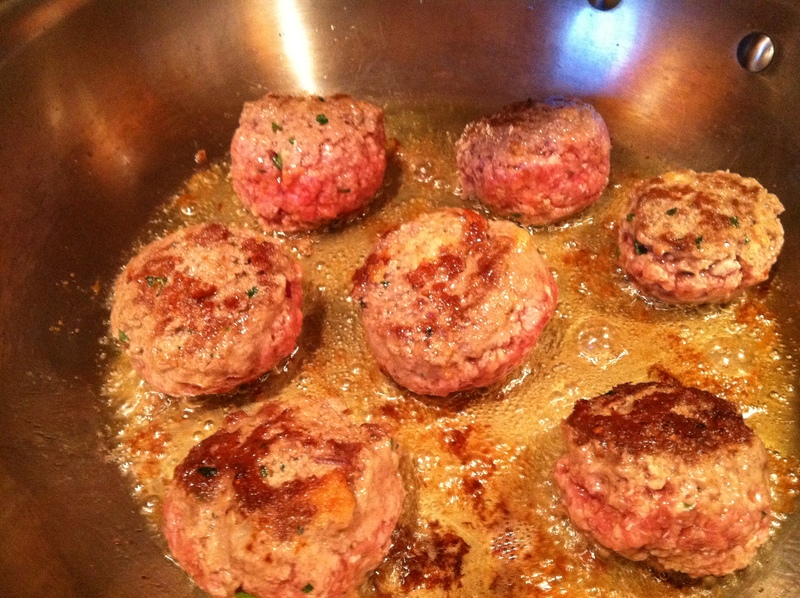 Fry meatballs over medium to high heat until brown and cooked through. If making sauce, throw them in with your sauce! 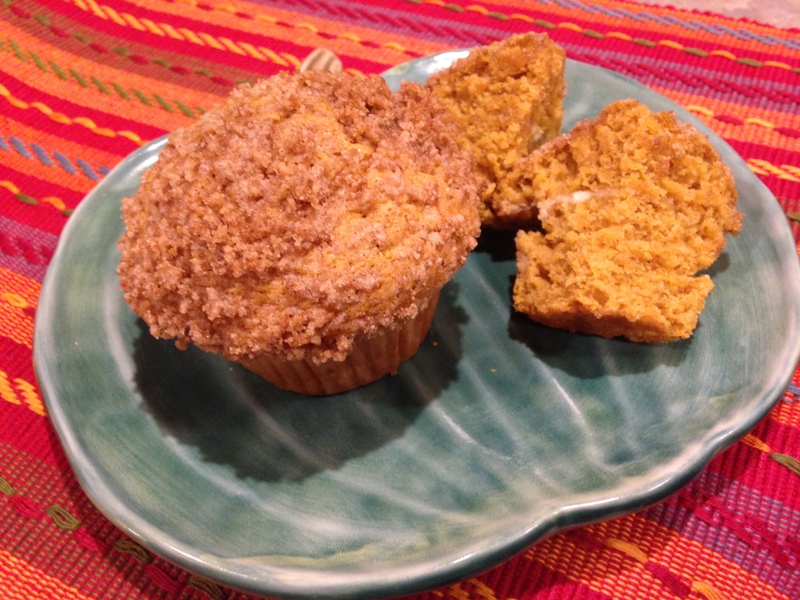 Pumpkin Cream Cheese Muffins with Streusel Topping – Simple and Delicious!! It is that time of year. Pumpkin and apple time. 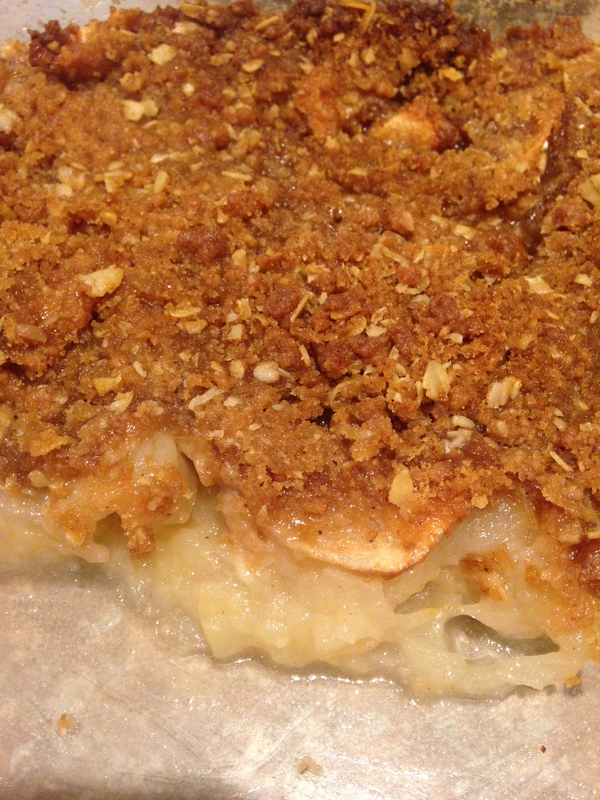 I usually make apple bread, apple crisp, apple pie (I try), apple pizza – you name it and I bet I’ve done it. This year I am going to try a couple of different pumpkin recipes. Martin2 happens to really enjoy anything pumpkin. 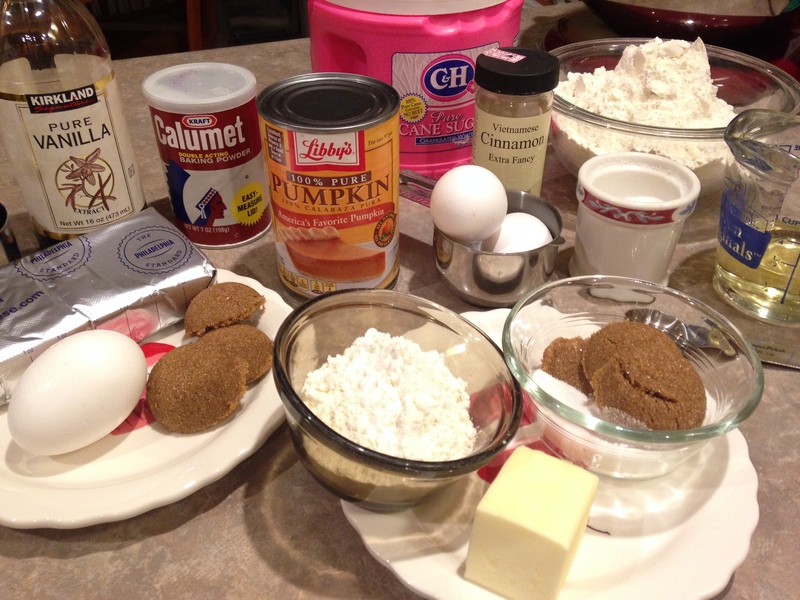 Pumpkin pie, pancakes, bread, cheesecake (next time Martin) – well, anything pumpkin. I thought I would start safe and try a muffin with a cream cheese filling. They taste great but I always seem to lack success in the “filling” part of the recipe. I just finished baking them so Martin will try them tomorrow. I found the recipe here and made a couple of adjustments. 6. Bake at 375 for 20-25 minutes. Since October is Breast Cancer Awareness month, we are having a pink food day at work tomorrow. I was a little puzzled as to what to make that is pink other than a dessert. 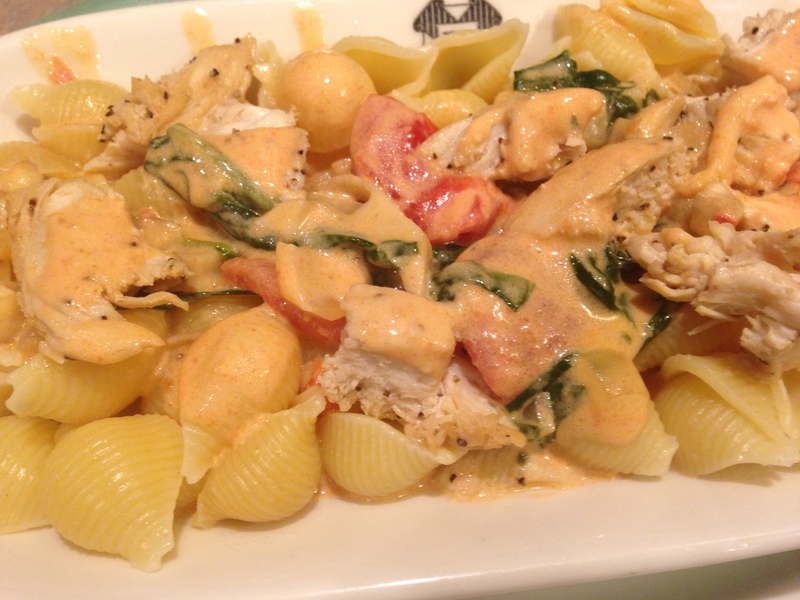 That is when I thought of Penne Rosa! On a more serious note, my mom is a breast cancer SURVIVOR. It has been 22 years since that scary day. What saved my mom 22 years ago at age 65 was an annual mammogram. Ladies, be smart and get an annual check up and that MAMMOGRAM. It could save your life. It did so for my mom. So, if you know anyone who has (or had) cancer (and I bet you do) wear pink at least one day this month. Remember them and if they are still with you call them and if you are lucky and they are in your town go give them a great big hug!! 2. Season chicken with salt and pepper. Add 2 tablespoons olive oil to saute pan. Fry chicken until done (about 10-15 minutes) I like them a little browned. When they are cooked remove from pan and cut into bite sized pieces. Set aside. 5. In a large saucepan mix the alfredo sauce, tomatoes, tomato sauce, mushrooms, spinach and 1/4-to 1/2 teaspoon pepper flakes to taste. 6 Simmer on low for 15-20 minute. 7. 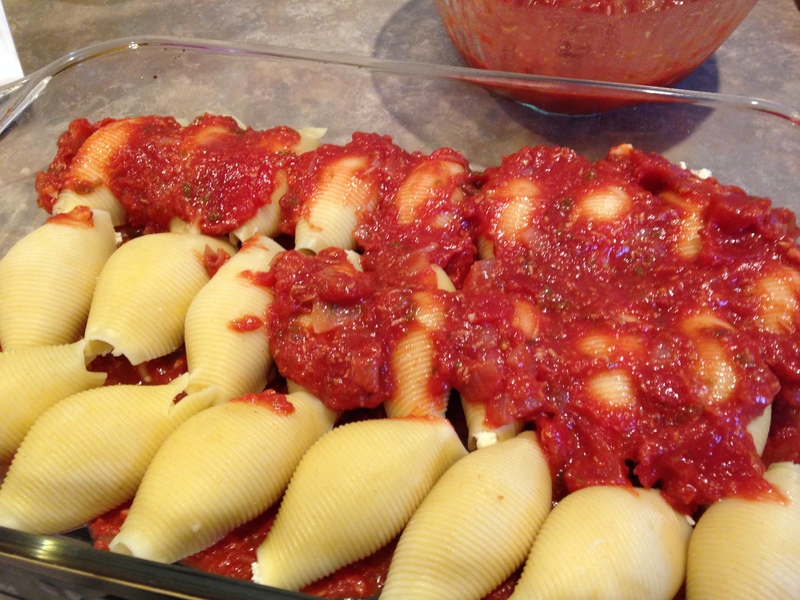 Drain the pasta and place in a large serving bowl. 8. Add the chicken to the sauce and stir. Add the pasta and stir. Serve immediately and sprinkle with Parmesan cheese and additional red pepper flakes if desired. Hope my coworkers like it!! Enjoy and Think PINK!! This is a super simple and delicious recipe. 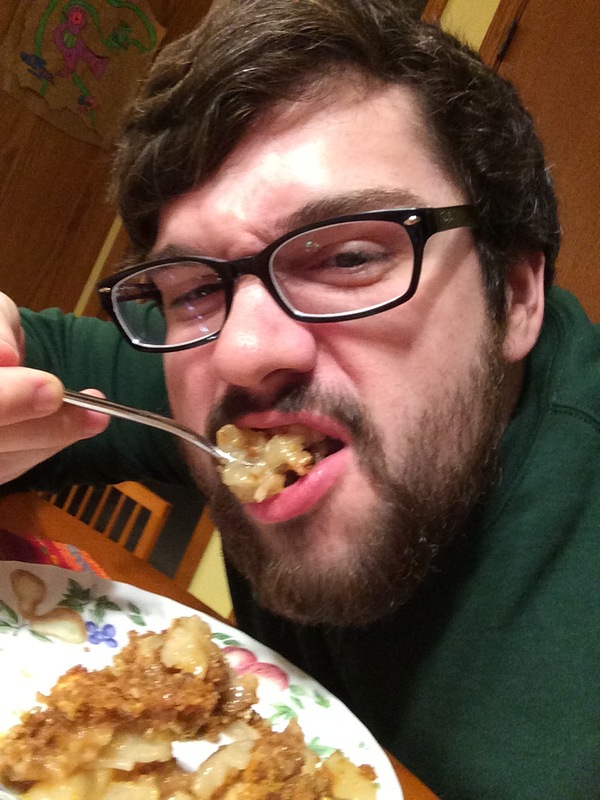 I enjoy over pasta or as a pizza sauce. It takes no time to make. You will have dinner on the table under an hour!! 2. Add the garlic, cream and pepper. Bring mixture to a simmer. 3. 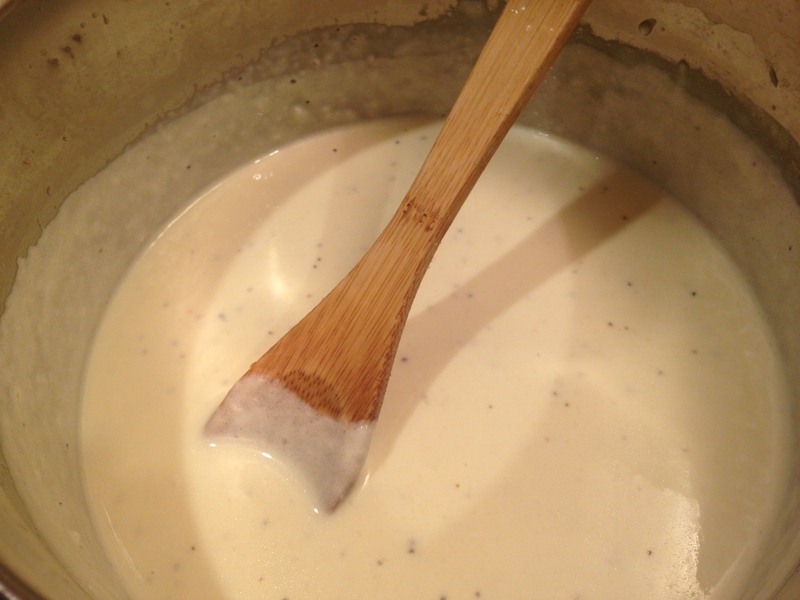 Stir often – 4-5 minutes. It will cook down and get thicker. 4. 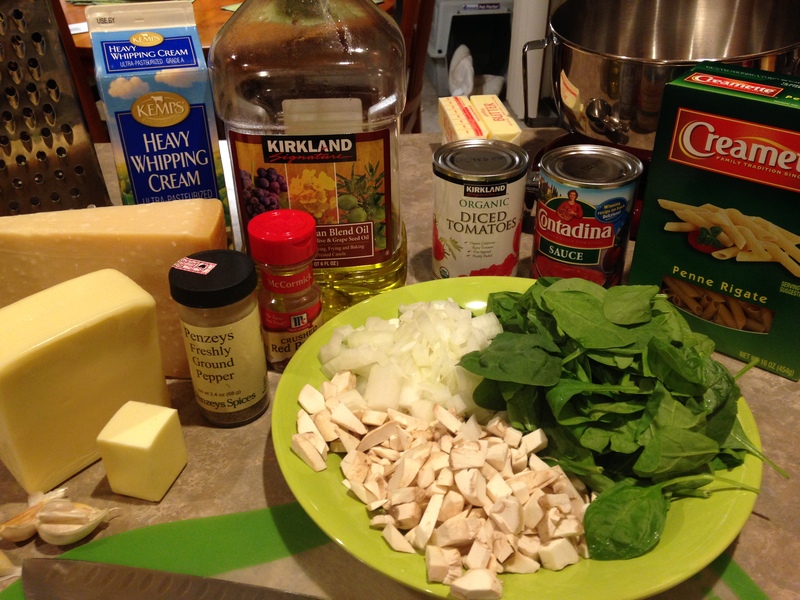 Add the Parmesan cheese and simmer sauce for 3-5 minutes or until thickened and smooth. 5. Pour the sauce over pasta and serve. Have any leftover sauce? Why not make a chicken alfredo pizza?